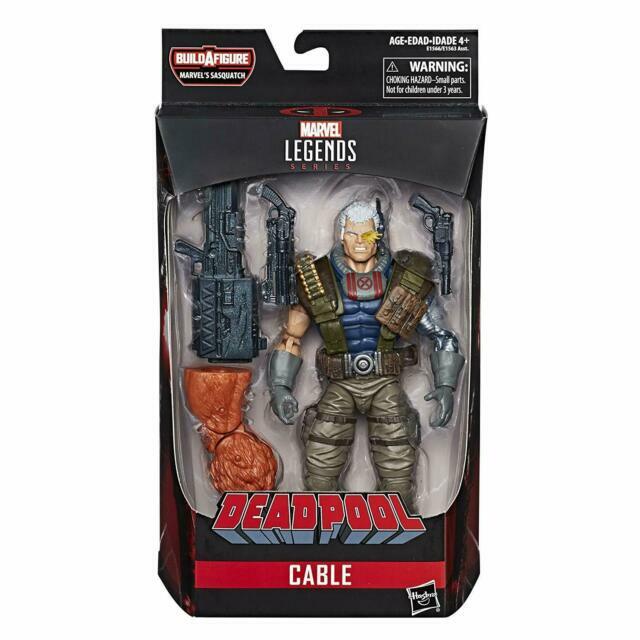 His listing is for a Brand New Marvel Legends Cable Deadpool Sasquatch Wave Build-A-Figure - New Complete The box does have shelf wear and one side does look like it was opened, the figure and accessories inside the box do not look disturbed. Please view all photos closely and please feel free to make us an offer. Thank You! It’s a very good likeness of cable. I got it the same week that he was in the new Deadpool movie. Very durable and nostalgic for those fans of the day when he came out.